This Saturday, May 18th, Philadelphia brings you fashion, philanthropy, and fun with Preakness at the Piazza! Proceeds of Preakness at the Piazza will benefit the MS Society, so don your most smashing chapeau and get your beau into a bowtie to watch the race on their enormous jumbo screen while sipping your favorite cocktail! For being a TSD reader, enter ‘preaknessstyle’ when you purchase your ticket and receive 30% off! The Piazza in Northern Liberties is bringing all the pomp and circumstance of the fabulous Preakness race to Philadelphia and that includes the fashion! As a style ambassador for this fantastic event, that’s where I come in! 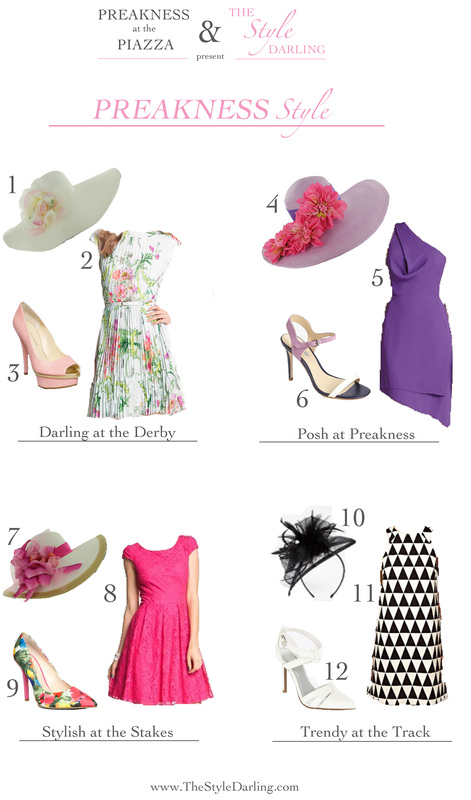 Whatever your personal style, these looks are guaranteed to land you in the winner’s circle! Come be ‘So Chic’ at Xochitl this Friday! This week the warm weather has finally arrived! What better way to celebrate than to sip a few cocktails (hand-crafted for exclusively for Philly FABB!) and mingle with Philadelphia’s top fashion and beauty bloggers?! 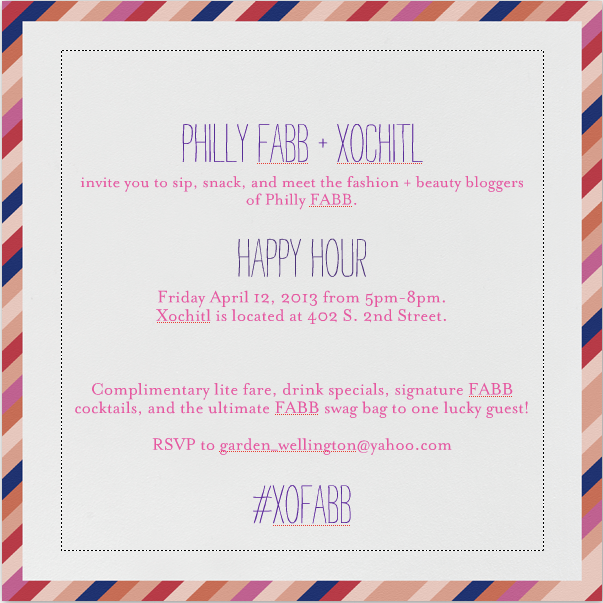 Xochitl (pronounced ‘so-cheet’) will be serving delicious lite bites and you can enter to win a fabb swag bag! Oh, yes, darlings, it’s that very special time of year. The one time a year LAGOS hosts its annual Sample Sale. Last night, I attended their Friends & Family evening, despite the second storm to descend upon NJ in 10 days. There was no way snowflakes were stopping me! The selection of their gorgeous jewelry was fantastic, pieces of stunning silver and gold, rich gemstones, luminescent pearls, and of course, every girl’s best friend, the diamonds. All at 50% off. Yes, you read that correctly, 50% off. And I have all the details, just for you! I was just giddy with joy perusing the cases and picking out each piece I wanted to take to my table and try on. Lagos’ pieces have this aura about them that makes each piece feel so special that you can’t help but glow while wearing their jewelry. It was so difficult deciding which pieces to take home but I managed to do so without breaking a sweat (phew!). I fell in love with a torque bracelet in their signature caviar design with smokey quartz and also purchased absolutely spectacular pearl earrings for my mom’s upcoming birthday. Ok, enough suspense, here are all the details! The sale is open to the public so feel free to bring a friend(s), your mom, sister, or even drag your guy along! And get started on your holiday shopping! Lagos, Inc. is located in Northern Liberties, Philadelphia at 441 N. 5th St.
Be sure to visit LAGOS Sample Sale where they have helpful info on arrival & check-in, what to expect, and insider tips! Here are some photos of the event last night (taken with Instagram, you can follow me @TheStyleDarling). LAGOS & The Style Darling, my reflection in a framed print. Absolutely adored these Lagos earrings! Surrounded by Lagos, I am one happy girl! Set of beautiful Lagos silver. I look forward to the vibrant colors of the changing leaves every year but they always seems to sneak up on me. In my everyday rush, I don’t notice the leaves are losing their verdant summer hues. Even the few scattered leaves in my yard don’t seem to register, until that one moment when it seems all the leaves turned overnight! That moment was this past Sunday morning, which couldn’t have been a more perfectly Autumn day. I realized that the trees are in their full Fall glory while driving up to Nicole Miller on Main St. in Manayunk for their Bridal Trunk Show. This was my first visit to Nicole Miller’s Manayunk location and the store is just a little haven of style. The friendly associates are so knowledgeable and it’s very clear that manager, Samantha Sciolla, loves working with her customers. Samantha and her team do an excellent job of creating a personalized experience for each bride; many stayed to chat long after deciding on a gown! Besides meeting with the brides and discussing their beauty needs and the services offered by The Style Darling, I had the pleasure of dolling up the gorgeous Natalie Krane who so graciously modeled Nicole Miller’s newest bridal collection. Natalie was photographed by the talented Heather Sizemore of HLS Photography. All of the beautiful photos were taken by Heather. Casa Papel was there to showcase their absolutely spectacular paper invitations and stationary. Their storefront is located in Northern Liberties or visit their website to see all of their stunning paperie. Couture Candy Buffets provided a display of confections that looked almost too good to eat (I must stress ‘almost’). 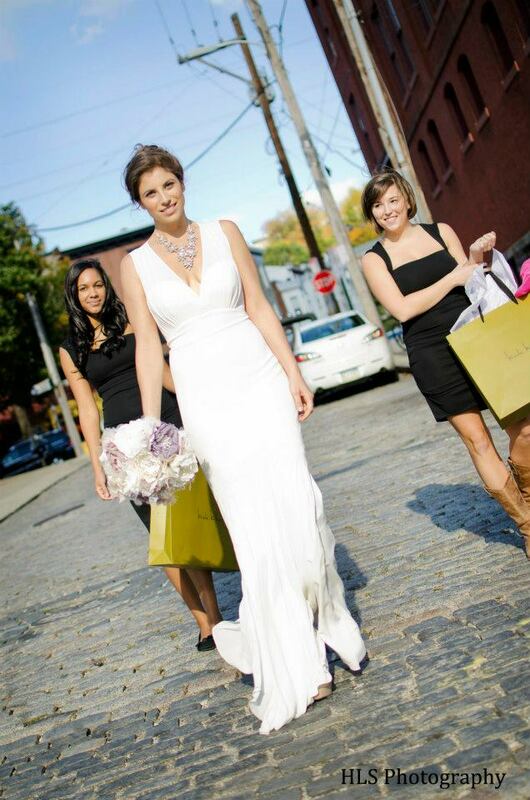 I was thrilled to be included in Nicole Miller’s Bridal Trunk Show, thanks so much to Samantha for all her hard work! It was a pleasure to meet all the very special brides and be there while making the big dress decision!